The PGA Tour schedule continues this week in spite of the WGC Matchplay event in Texas. 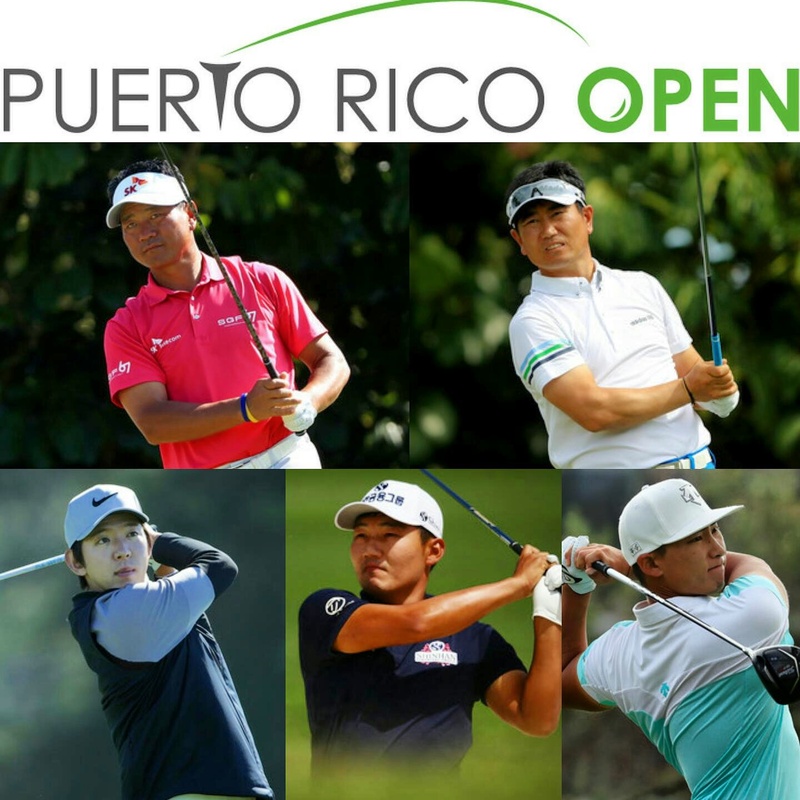 With all of the world’s best players absent from the Puerto Rico Open, it definitely offers up an opportunity for the tier two PGA Tour members to pick up a win. Six Koreans (SJ Park not in above photo) have this opportunity, with Noh arguably in with the best shout, based on his 2017 form so far, but maybe Whee Kim can surprise us all this week. Wait and see…Short and sweet! Good luck to all in PR!